Back when I first started bodybuilding I bought all of Vince’s courses. I read every article he wrote for MuscleMag International, too. That cantankerous old guy was way ahead of his time! He really knew all the secrets to building a great physique fast. I’m almost reluctant to share this secret with you. It is so simple and easy I’m afraid you might blow it off as a bunch of BS. But trust me… it really works! Vince was a believer that in order to grow, you need to keep your body in a “positive nitrogen balance.” This means protein (the only nutrient that contains nitrogen) should be constantly available in your bloodstream. Vince was a proponent of using “concentrated food sources.” These are foods which contain the protein and nutrients you need but don’t contain a lot of excess carbohydrates and calories that take up a lot of space in your stomach, allowing for frequent feedings. Dr. Ershoff took three groups of rats and fed them controlled diets for a twelve week period. Group one ate a basic diet fortified with vitamins and minerals. Group two ate as much as they wanted of the same diet plus B vitamins and brewer’s yeast. Group three ate the basic diet but had 10% desiccated liver added to their rations. The group one rats swam an average of 13.2 minutes before they all drowned. Group two, an average of 13.4 minutes. Group three, however, was still swimming at the end of two hours, at which time the experiment was concluded. The rats that had the desiccated liver added to their diets swam almost 10 times as long as the other two groups! As far as I know, no other supplement has even come close to liver in improving endurance. So take old Vince Gironda’s advice and try adding desiccated liver to your supplement program. The addition of only 8 to 10 desiccated liver tablets per meal for five meals per day can make a tremendous difference in your condition. This simple-but-effective supplement program will add approximately 65 grams of the highest quality protein to your daily intake. Hyper Growth Muscle Mass Training e-book by Doberman Dan. A step-by-step guide that teaches you the secrets, tips, and techniques you need to know to build a chiseled, muscular, ripped, head-turning physique…FAST! The “Hyper-Growth Muscle Mass Training” course is an extremely effective natural human growth hormone stimulator and packs on muscle mass, strength and power faster than you would’ve ever thought possible…while burning off body fat like crazy! 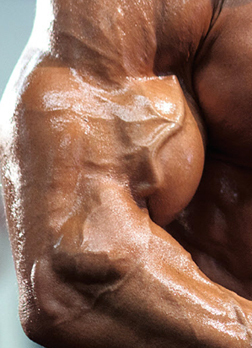 This guide covers it all, and makes it easy for you to get started building rock-solid muscle size and power while burning off ugly body fat. Written by our good friend Doberman Dan.